During my July 2 interview with Sam Pill, I told her I thought her upcoming ESPN-aired fight with Maricela Cornejo was a win-win. It was the latter scenario which played out July 13 as Pill, a mother of two and United Hospital Center nurse supervisor, went three rounds with Cornejo, opening the night’s Golden Boy Boxing at the Novo in downtown Los Angeles. As I’m sure many of you did also, members of my family gathered in our TV room and cheered her on. We were very proud of her. Here was a woman from our neck of the woods who was married, raising two small children and worked full-time. She had chosen to take care of others as her profession. Sam told me back in 2015 that she loved being there for others when they most need someone. She said it’s like having a little adrenaline in your pocket – ready to share it with someone. The former Samantha Scott had graduated from Lincoln High School, where she was an athlete; a member of the Lady Cougars basketball team. 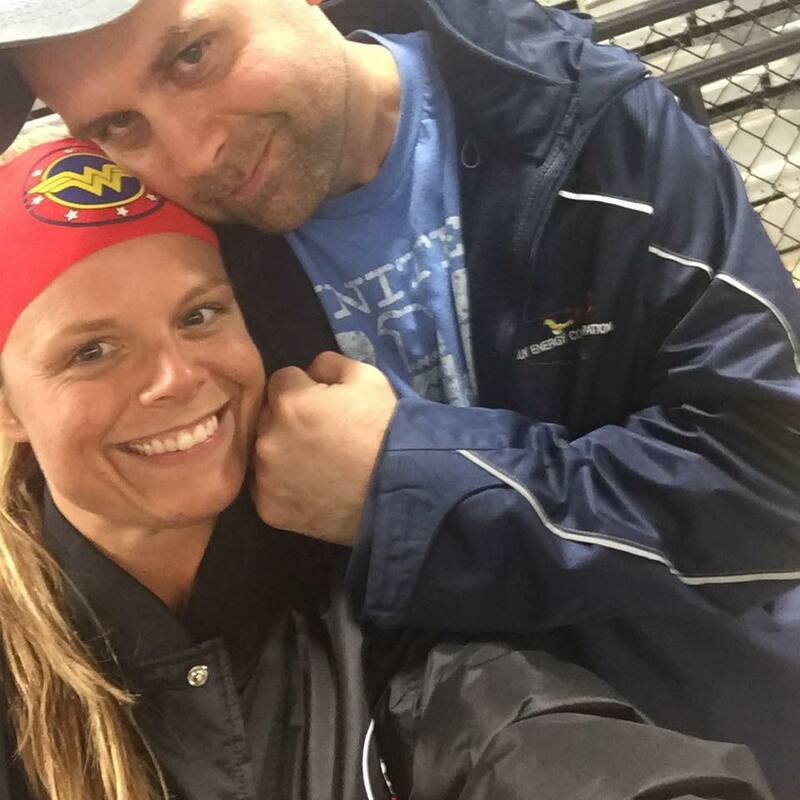 Thirteen years ago, she had been to a Toughman Contest at Nathan Goff Armory in Clarksburg and was intrigued, knowing that someday she would be in that ring as a competitor. She kept the idea on the back burner until the time was right. She started training right here in Bridgeport at Main Street Fitness and that evolved into training with Keith Barr, who has since been by her side. 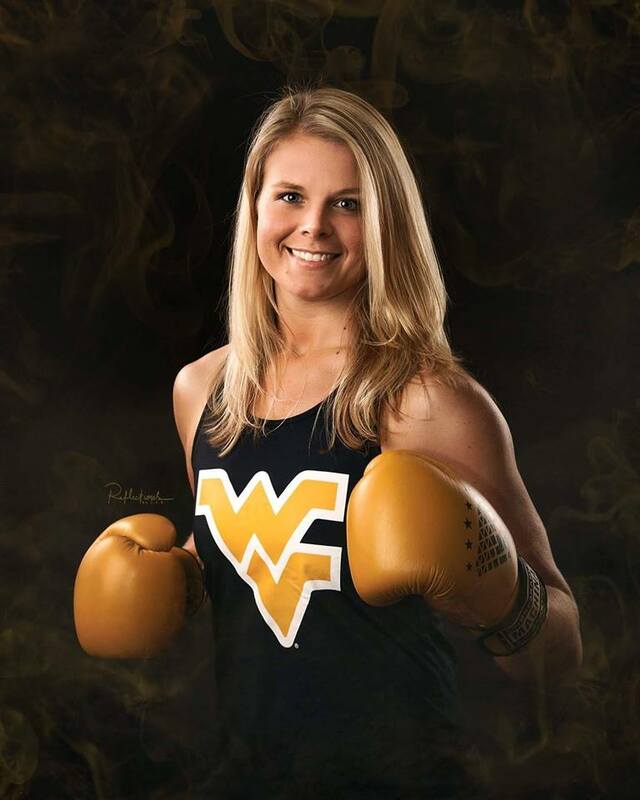 She won two Toughman titles - the first in Elkins in March of 2015 and the second in Clarksburg in January of 2017 - thereafter gathering other regional victories. 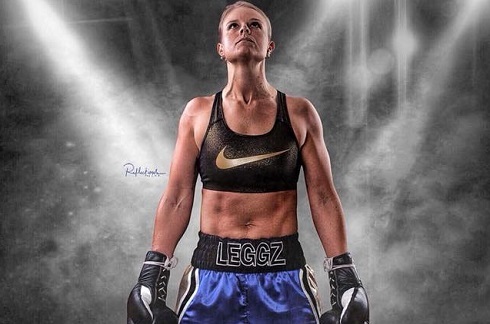 In November of 2017, the six-foot-tall boxer who had become known in the ring as "Leggz," made brave decision to go pro, knowing that once she did, she couldn’t return to amateur status. 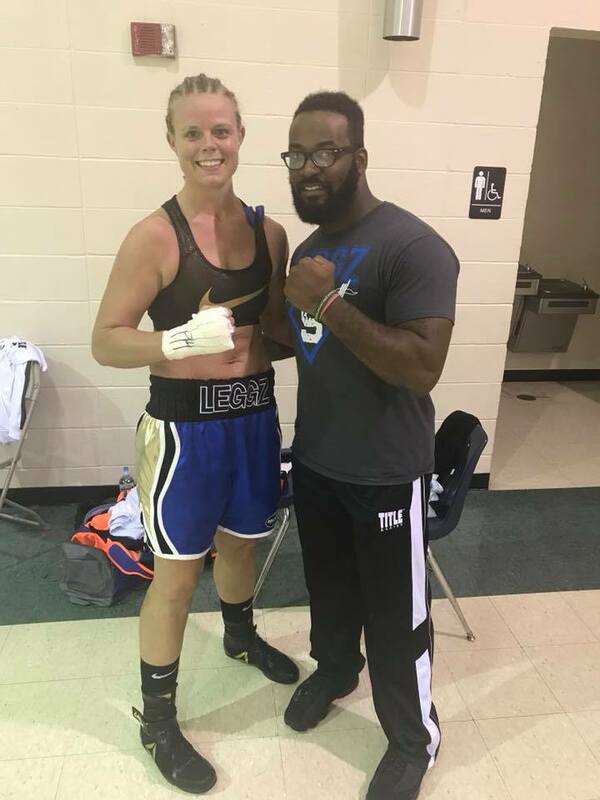 She quickly picked up three wins and put her undefeated record on the line when she was offered the July 13 match with Cornejo in L.A.
Sam flew to the west coast with her husband Jesse and her trainer, Keith Barr. I got to chat with her just for a few minutes the evening before the fight and she said she felt good - energized and confident. The fight was set for six rounds. Starting out, Sam held her own and got in some impressive punches. It was the second round of the fight when Cornejo started taking control. 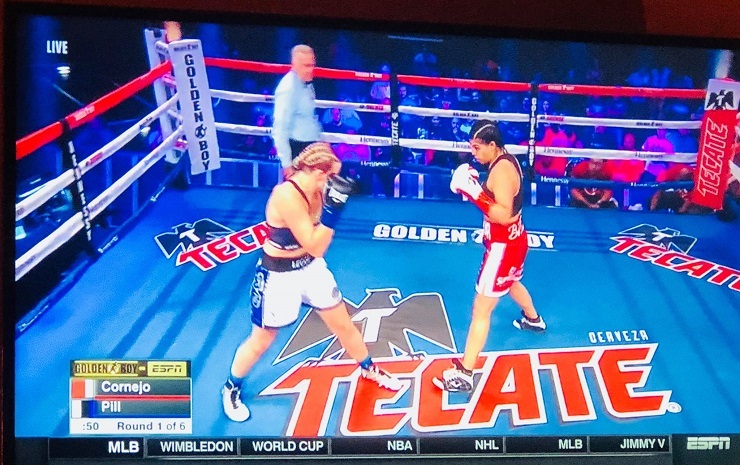 Barr told the officials that Sam was OK to go into the third round; that she could still defend herself, but that round did her in and Cornejo won by knockout. 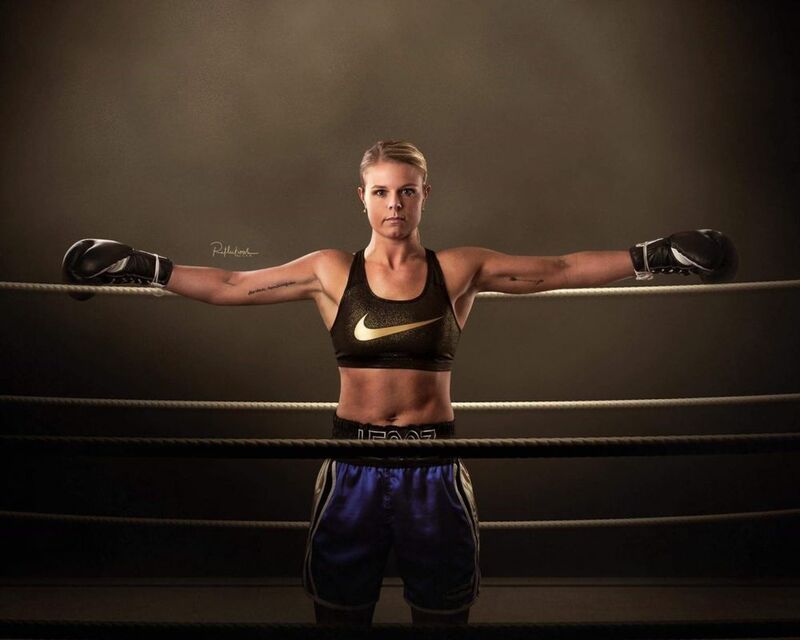 The announcers sang Sam’s praises; saying how amazing it was for her - a working mom of two who also works a farm - to develop a boxing career in a few short years, advancing to the pros and taking on such a celebrated opponent. After digesting the experience, she has spun it into a positive. After all, once you find your passion, you have to pursue it. Going into the fight, she knew it would be risky, putting her undefeated record on the line. But now she has a No. 2 world-ranked fighter on her resume and she performed the best she could at the time in a clean respectful fight. “Thanks for putting the test on me so now I can become the best me,” she said. Stay tuned. There’s much more Sam “Leggz” Pill boxing to come.